Category: Exotic Adventures, French Foreign Legion. 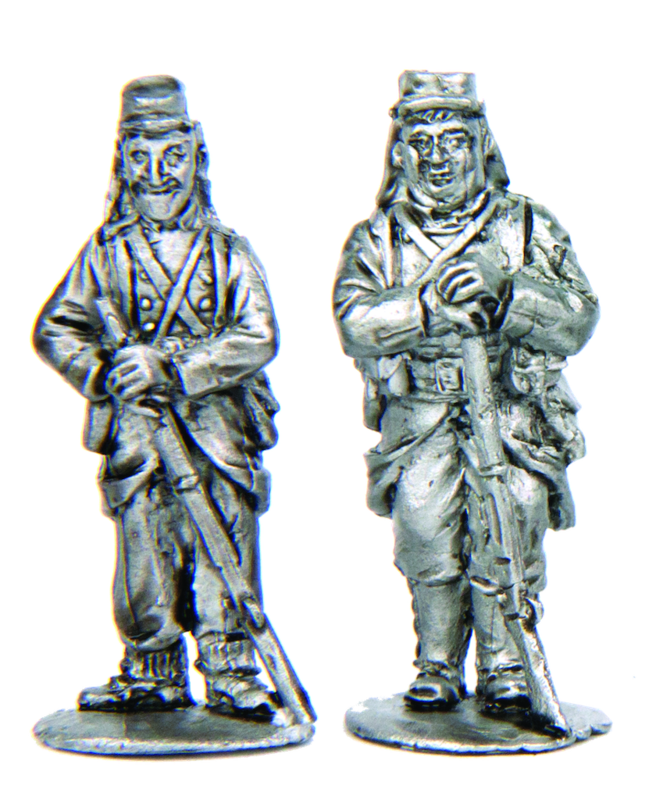 Tags: 28mm, character set, foot, french foreign legion, full kit, infantry. 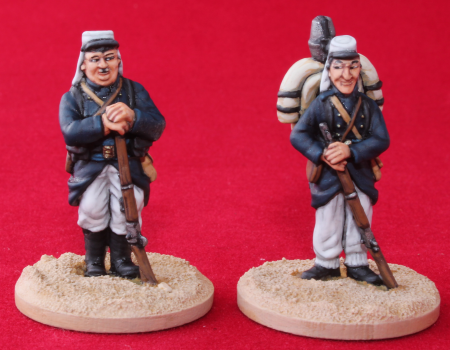 Stan Laurel and Oliver Hardy join the French Foreign Legion after Ollie’s sweetheart Jeanie-Weenie rejects him. When they arrive at the barracks in Algeria, they discover that not only are the other soldiers trying to forget lost loves, their lost loves all happen to be the same woman Ollie is trying to forget: Jeanie-Weenie! On an expedition to Fort Arid, a fortress besieged by native Riffian tribesmen, the duo get cut off from the rest of the regiment in a sandstorm and reach the fortress before the others. Surprisingly, the boys defeat the Riffians by themselves and the leader of the Riffians is revealed as another one of Jeanie-Weenie’s conquests. The back packs are interchangeable, as Ollie begins with the large pack before realising that he is carrying both their kit and passing it over to Stan on their march to the surrounded French Foreign Legion fort. The standard backpack, from FFLX1 is also supplied, providing great versatility for these figures. Pack contains 2 x 28mm miniature (1/56 true scale) white metal figures, unpainted.